Mike Robbins is a journalist turned development worker. 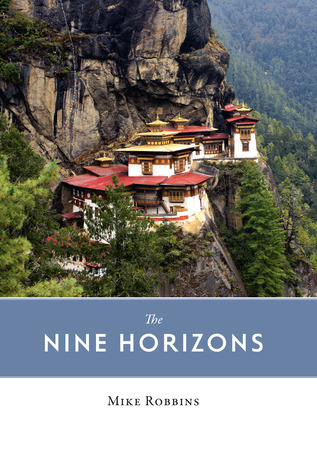 This book consists of nine essays covering his experiences in diverse places he has lived in or visited over nearly thirty years–Sudan, Ecuador, Bhutan, Syria, Turkestan, Kyrgystan, and New York. Although there are nine chapters, there aren’t nine countries. Some countries get more than one chapter. I doubt that the book is intended to be a definitive description of the place and time (is such a thing possible?). It is simply his personal experiences, but there lies the strength of the book. As a writer, he has a keen eye for detail. The places he has visited are by now almost certainly changed beyond recognition, and I am thankful for the opportunity to see these places through his eyes. This entry was posted in Review and tagged Mike Robbins, The Nine Horizons on January 1, 2015 by photocosmic.